In 480 BC, Xerxes, the King of Persia, led an invasion of mainland Greece. Its success should have been a formality. For 70 years, victory, rapid, spectacular victory, had seemed the birthright of the Persian Empire. 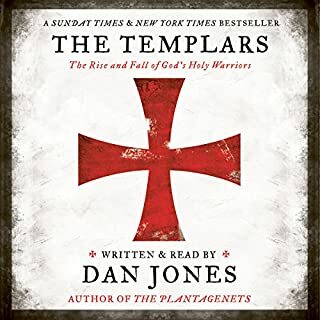 In the space of a single generation, they had swept across the Near East, shattering ancient kingdoms, storming famous cities, putting together an empire which stretched from India to the shores of the Aegean. As a result of those conquests, Xerxes ruled as the most powerful man on the planet. Yet somehow, astonishingly, against the largest expeditionary force ever assembled, the Greeks of the mainland managed to hold out. The Persians were turned back. Greece remained free. 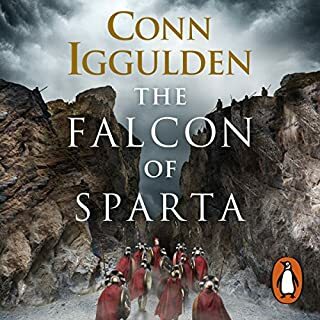 Had the Greeks been defeated at Salamis, not only would the West have lost its first struggle for independence and survival, but it is unlikely that there would ever have been such an entity as the West at all. 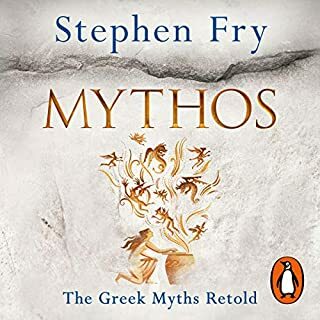 The only criticism I have is to myself not keeping track of all the Greek names, I had to listen to a few sections a couple of times, very enjoyable. Wished it were the unabridged version. This writer/subject is too good to cut out any portions. 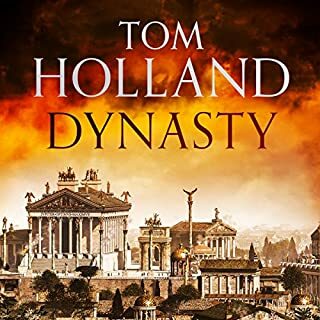 Would you be willing to try another book from Tom Holland? Why or why not? What three words best describe Andrew Sachs’s voice? Did Persian Fire inspire you to do anything? Yup. Look for the unabridged version. Why oh why is this abridged? 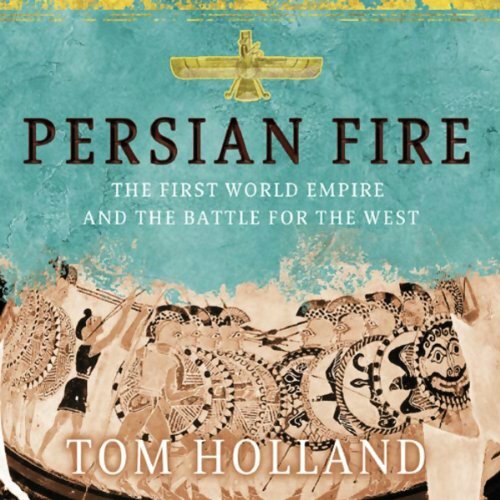 What would have made Persian Fire better? I will definitely pay more attention next time, I thought it was unabridged. 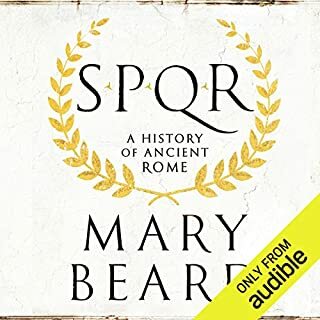 I am afraid there are too many huge gaps in the narrative and important details lost for me to be happy with this as I wanted a good introduction to this part of history. I have now gone back to the book itself. A great shame as Andrew Sachs is a perfect narrator. Some new insights. There isnt much more to go on it would seem beyond Herodotus it seems but at the very least some interesting theories would have been nice. What was most disappointing about Tom Holland’s story? I didn't think I knew anything about the Persians but there was nothing new to me here. Its basically a retelling of the same old stories. The story ends abruptly after the second invasion. What didn’t you like about Andrew Sachs’s performance? Disappointment, I thought I'd learn something new about the Persians. I didn't. 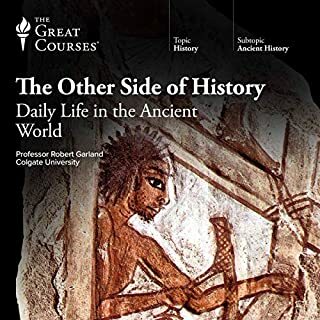 This is not a book about the Persians, it dwells to a much greater extent on the Greeks and on stories any one having shown an interest in the period is probably well aware of. 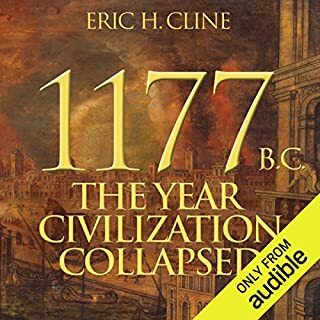 Grab the Dan Carlin free podcast on the subject it is much more interesting, informative and thought provoking. 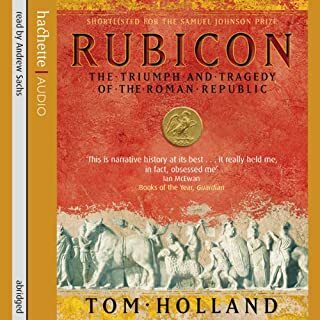 Holland's rip-roaring book is brilliantly bought to life by Sachs - if you knew a bit about Thermopylae but not the context around it, this is a great book. 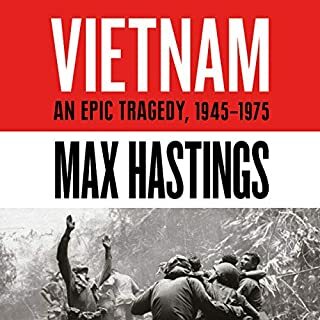 The relevance to contemporary conflict is covered at the beginning but not two overplayed. Holland's natural wit and his wonderful narrative history story telling ability makes this a joy to listen to. 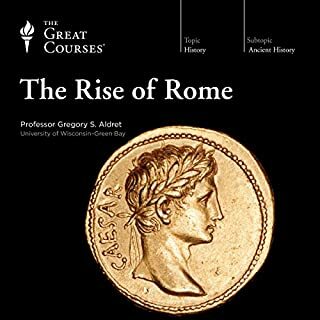 The best way (in my opinion) to understand the information presented in this well researched and comprehensive book. Should not have been abridged at all! This version does little justice to the book or its eminent author. Not recommended for any serious reader. 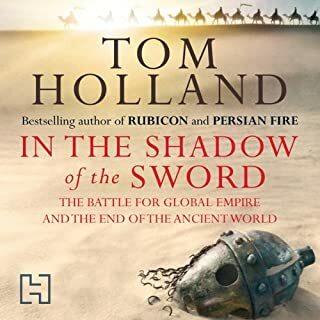 I’ll be honest, I did zero research about this book and thought it was going to be about the intricacies of the Persian empire, administration, military might (etc. 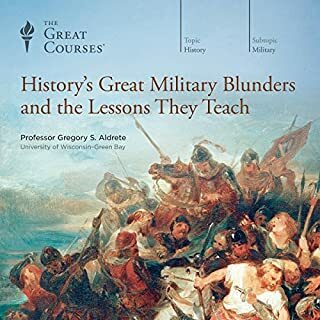 ), but instead got a lovely book about Ancient Greece, specifically the battles of marathon, salamis, Plataea, and of course, Thermopylae, along with an in depth look at Athenian democracy. Whilst being stuff I was already familiar with, the story and performance was entertaining and gripping. Excellent! The title is misleading though. 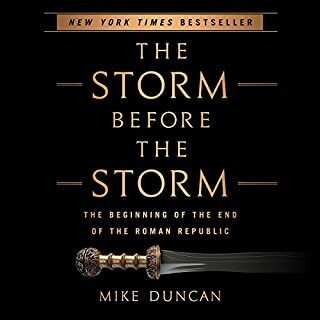 It is more about Greece than about the Persian Empire and is written from the Greek point of view. 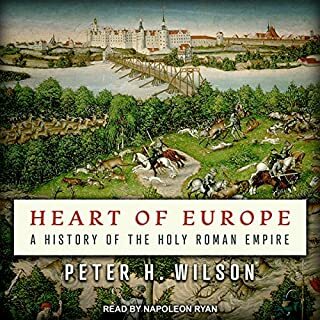 Not sure how well that notion stands up today that the Greek success in repelling the invasion by Xerxes is what established the foundation of the west, but it doesn't matter. 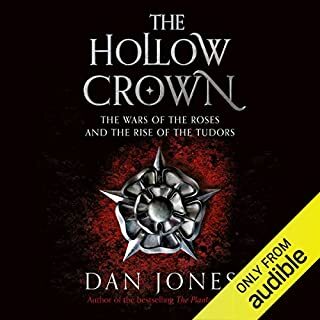 It's a great tale very well told in this audiobook. 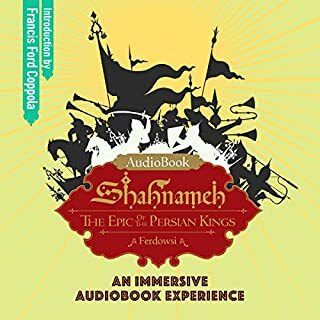 This audio book is a shortened version of the original “Persian fire”. It's very disappointing, because lots of bits, sometimes interesting or important are missing or simply make it harder to understand with ommited information. Also, the frequent mispronunciations of the narrator are very irritating. 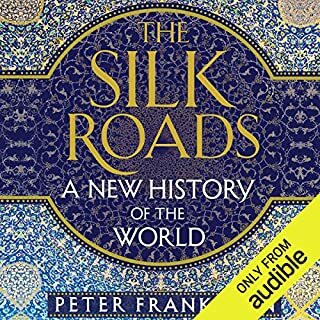 The original paper or Kindle versions are much better and definitely worth of reading, but the audio book is very disappointing. Amazing! one of my favorite books. 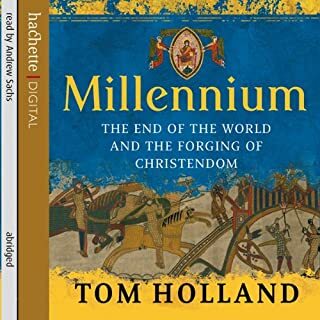 I love Tom Holland's books. Thoroughly researched, gripping in the way is told and Andrew Sachs is great. love it.